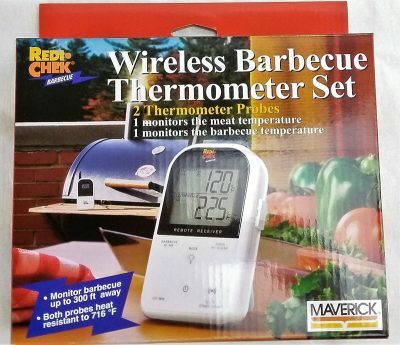 Maverick ET-732 digital wireless remote barbecue thermometer has many upgrades from the et-73 model. 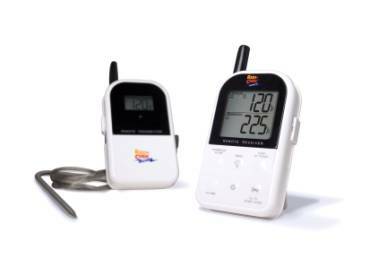 It features a longer range, higher temperature probes and an alert if your receiver gets out of range. 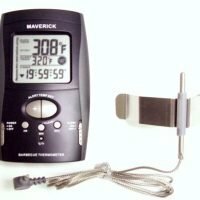 Wireless receiver with LCD on the Maverick ET-732 beeps and flashes when meat temperature goes above your programmed temperature. Monitor barbecue temperature. 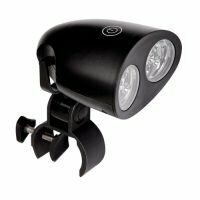 Receiver beeps and flashes if temperature falls above or below your programmed range. Count up and Count down timer. 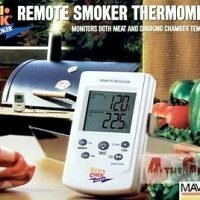 Maverick ET-732 Video review from youtube (not ours). Receiver has belt clip and built-in stand. The instruction manual for the Maverick Et-732 can be found here. 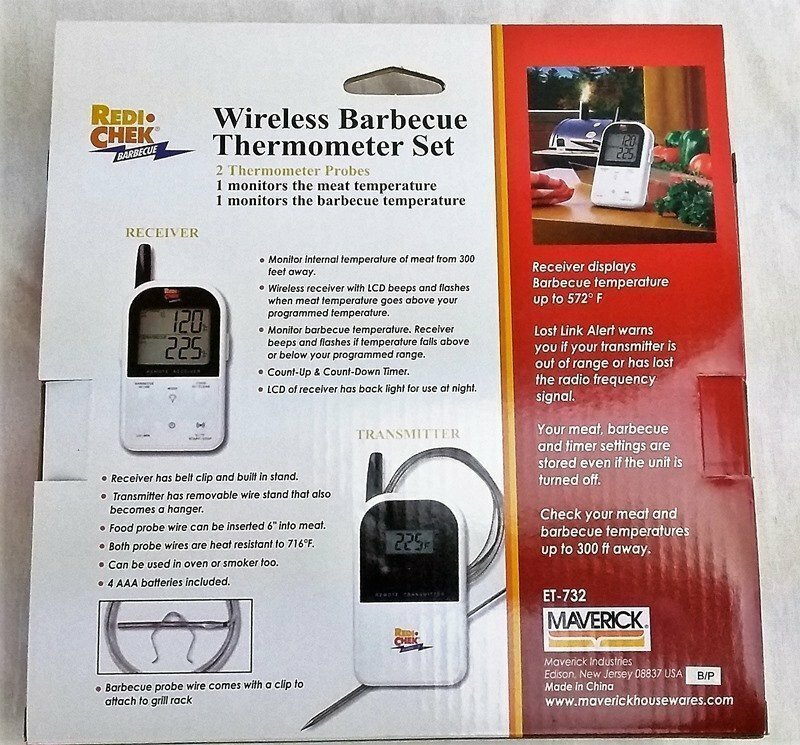 Dual probe wireless barbecue thermometers like this one are great for not only barbecue, they work well for long cooks on your grill as well. 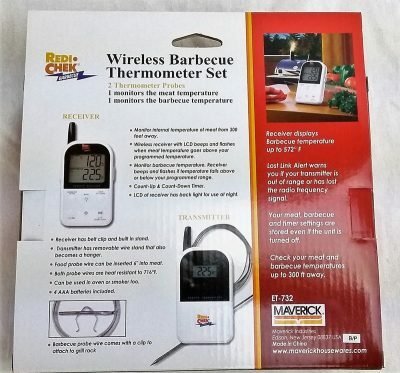 We use one all the time when grilling beer can chicken, the chamber probe is great for alerting you to flare ups and you can set a temp alarm to let you know the chicken is done. 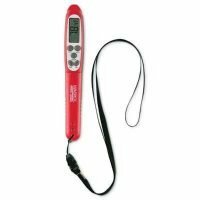 To avoid problems with this type of thermometer keep the probe wires away from direct heat. This is what will make them fail most of the time. 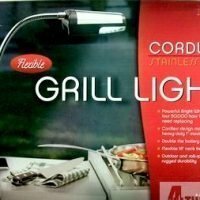 If you’re using this on a gas grill you can run the wires around the back and through the vent. This will prevent them from being directly over a burner that is on.